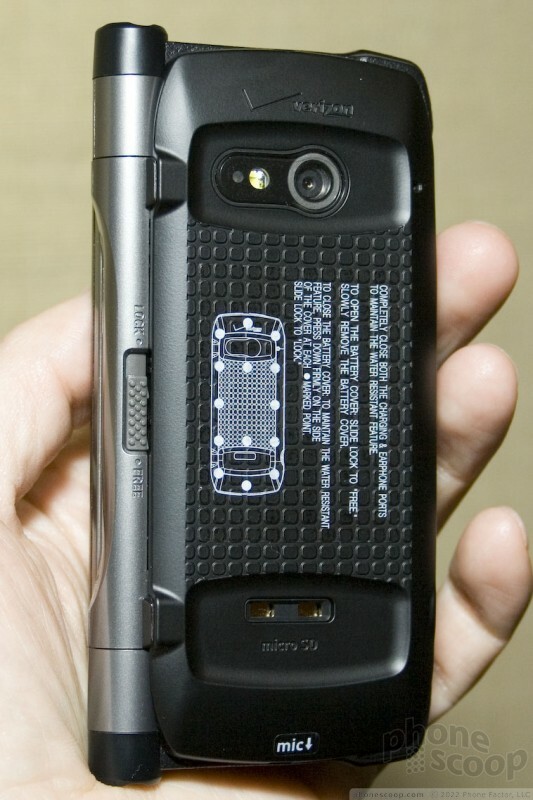 The Brigade is the latest in Casio's G'zOne line to come to Verizon Wireless. The Brigade is a monster of a phone. It meets mil-spec standards for shock, vibration, dust, moisture, and temperature extremes. It is made from extremely tough materials and, consequently, weighs a ton and is very thick. It truly feels as though you could run over it with a tank. The Brigade carries forward Casio's commitment to circular exterior displays on the front. The monochrome display shows the time and status indicators. 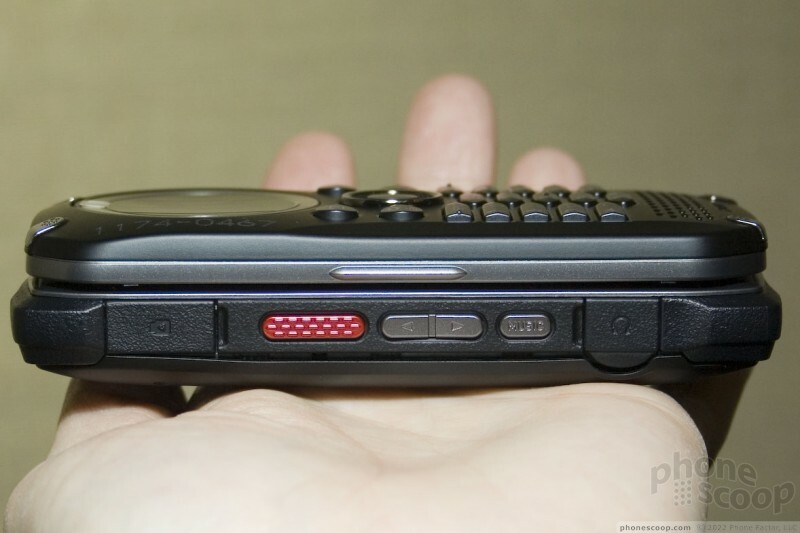 Beneath the display is a full numeric keypad with a number of keys dedicated to specific actions such as the music player, camera and messaging applications. 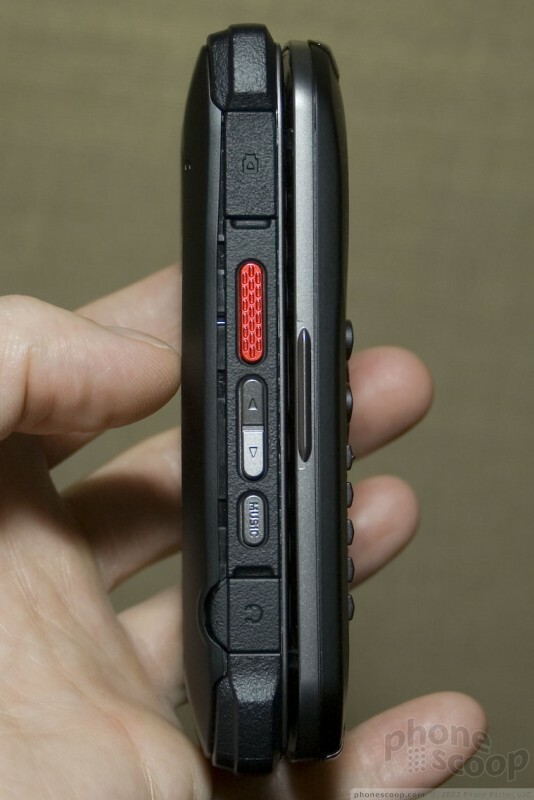 The keys on the front of the phone were easy to find, but travel and feedback were minimal. 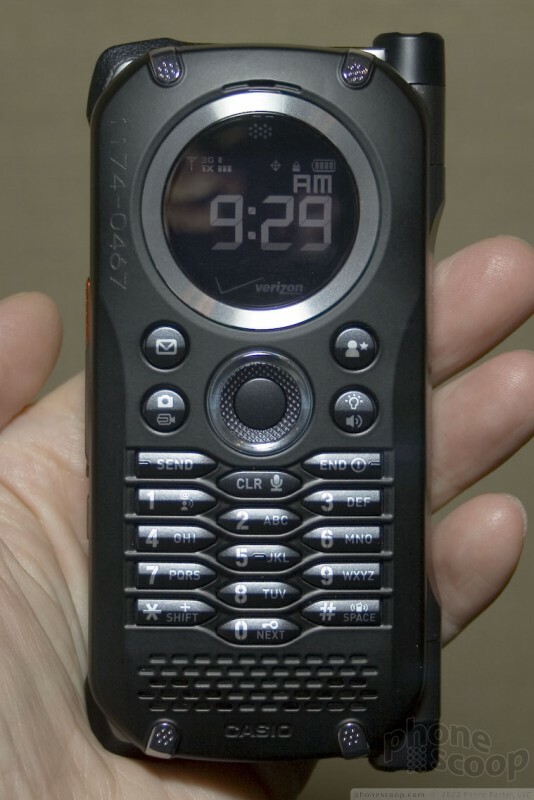 The Brigade offers Verizon's version of push-to-talk services, and the controls for that are on the side of the device. The button is colored red, which makes it stand out nicely from the otherwise gray coloring. 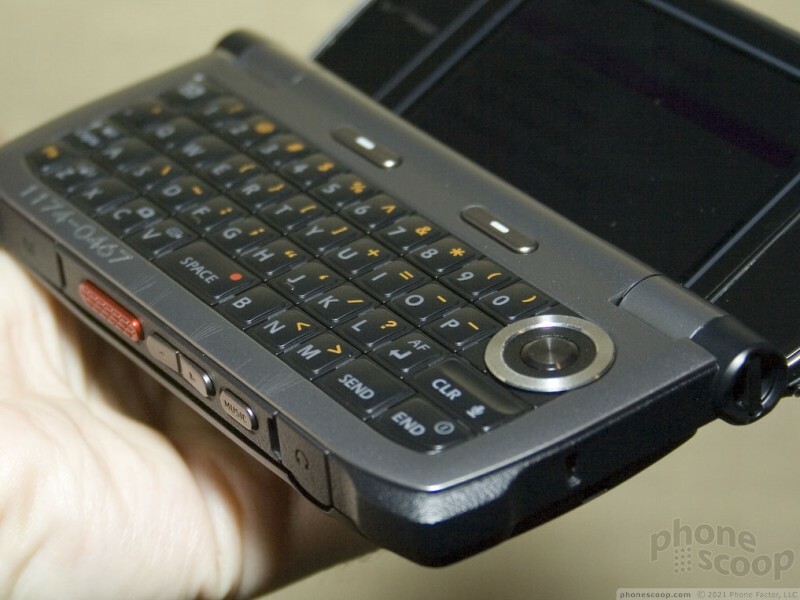 Because the Brigade is a sideways clamshell, it opens up to reveal a secondary display and full QWERTY keyboard. This keyboard feels fantastic. 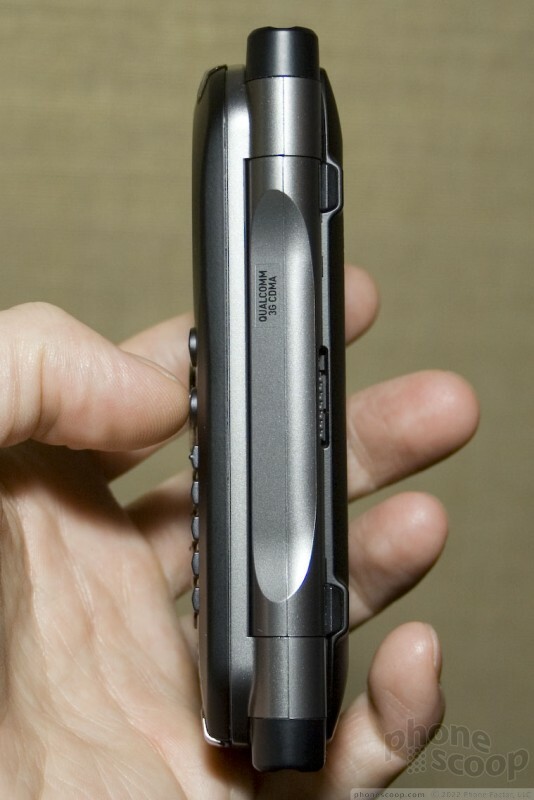 The keys are nicely spaced, have a good shape to them, and provide excellent travel and feedback. The interior display is generous, and looks good. 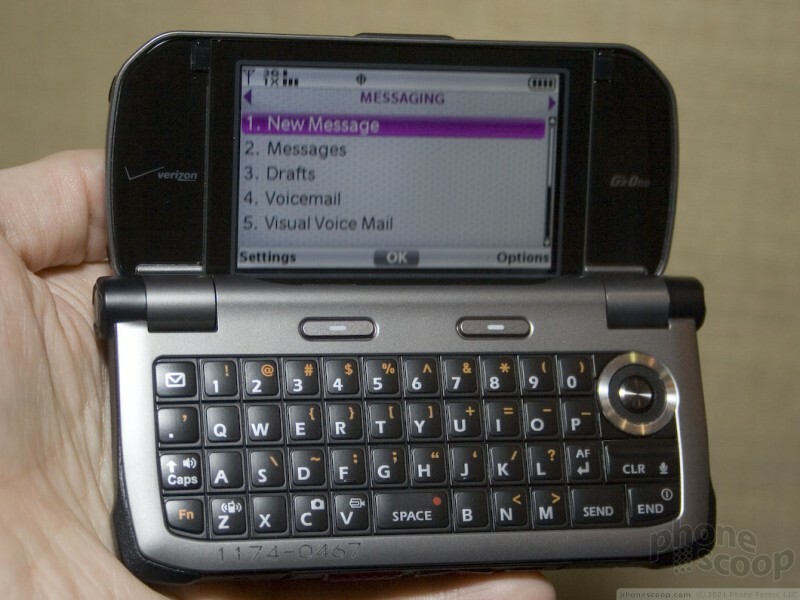 It's nice and bright and provides ample room to interact with Verizon's menu system. The phone clearly targets the user who is working in an outdoor environment or at least people who spend a lot of time being active and otherwise beating up their phones. The Brigade brings a new form factor to that group of users, and gets most aspects right. Here's a video of the Brigade so you can get a better feel for it.